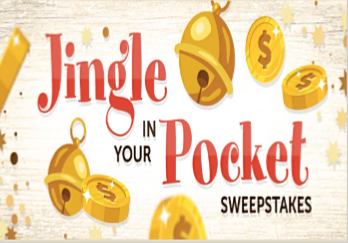 Smithfield Jingle in Your Pocket Sweepstakes – Win $5,000! Note: You must be a member of Smithfield’s Friends & Family Program to enter – it’s free to join! ENTRY LIMIT – each day you return to the website, you may obtain one (1) entry into the Weekly Prize drawing per the schedule outlined below. Each entry into a Weekly Prize drawing automatically provides you with one entry into the Grand Prize drawing. Maximum seven (7) entries into each Weekly Prize drawing. Maximum fifty-six (56) entries into the Grand Prize drawing. ELIGIBILITY – Smithfield Jingle in Your Pocket Sweepstakes is open only to participants of the Smithfield Friends & Family Program who are legal residents of the fifty (50) United States and the District of Columbia and who are at least eighteen (18) years old at the time of entry (19+ in Alabama and Nebraska). 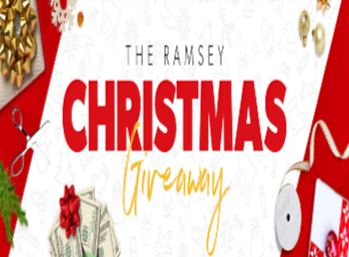 SWEEPSTAKES ENTRY PERIOD – The Sweepstakes begins on or around November 6, 2018 at 12:00 a.m. Eastern Time (“ET”) and ends on or about December 31, 2018 11:59 p.m.
PRIZES – FOUR (4) GRAND PRIZES: Each Grand Prize Winner will receive a check valued at $5,000. Approximate Retail Value (“ARV”): $5,000. TWENTY-FOUR (24) WEEKLY PRIZES: Each week (as defined within section 4), three (3) Weekly Winners will receive a $100 Grocer Gift Card. Upon acceptance, Grocer Gift Card will be delivered electronically, or via USPS or ground service delivery at Sponsor’s discretion. Grocer determination will be based upon winner selection from a pre-defined list of seven (7) regional and/or national retailers. Limit one (1) weekly prize per person. Winners of weekly prizes may also win the Grand Prize. WINNER’S LIST – For a winner list, please send a self-addressed and stamped OE to: “Smithfield Jingle in Your Pocket Sweepstakes, Winner List” c/o Doner CX, 8050 Rowan Road, Suite 200, Cranberry Twp., PA 16066. The winner list will be available and distributed after winner confirmation is complete. Request must be received within 30 days of the end of the Promotion Period. 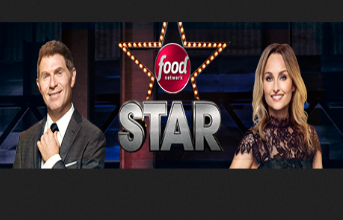 Food Network Star 2018 Fan Favorite Sweepstakes – Win $5,000! 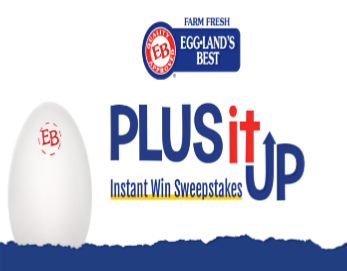 SWEEPSTAKES ENTRY PERIOD – Beginning at 9:30 a.m. Eastern Time (“ET”) on June 4, 2018 until 9:30 a.m. ET on August 10, 2018. 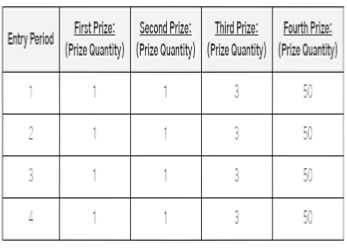 PRIZES – The Grand Prize Winner will receive the following (the “Grand Prize”): Five Thousand Dollars ($5,000) presented in the form of a check. Approximate retail value of the Grand Prize: $5,000. Bertolli Flavors of Tuscany Sweepstakes – Win a trip to Italy! 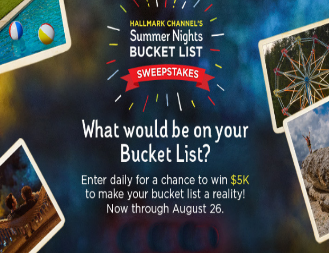 Win a trip for 4 to Tuscany, Italy and $5,000! 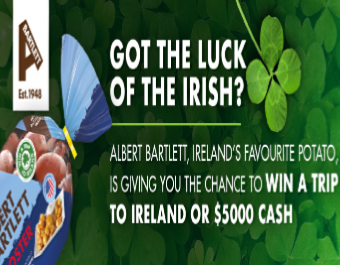 ENTER SWEEPSTAKES HERE – Bertolli Sweepstakes page. 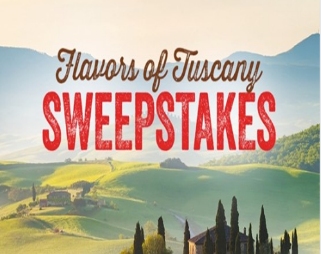 SWEEPSTAKES ENTRY PERIOD – The Flavors of Tuscany Sweepstakes begins at 12:00 a.m. Eastern Time (“ET”) on May 6, 2018 and ends at 11:59 p.m. ET on July 1, 2018. PRIZES – Grand Prize (1): A 6-day/5-night trip for four (4) to Tuscany, Italy. Trip includes round trip economy class air transportation from the major airport nearest the winner’s home to Florence, Italy, round trip ground transportation to/from airport/hotel, five (5) nights’ hotel accommodations (two rooms, each based on double occupancy), three (3) Sponsor-selected tours (each a “Tour”), and $5,000 awarded as a check made payable to the winner (ARV: $18,000). Actual ARV of Grand Prize may vary due to winner’s residence, dates of travel and fares at time of travel. In the event actual ARV is less than the stated ARV, no additional compensation will be offered. First Prize (10): A Sponsor-selected cooking class (“Cooking Class”) (ARV: up to $300 each). 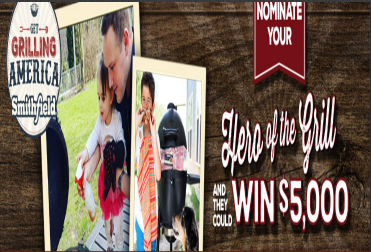 Smithfield “Heroes of the Grill” Sweepstakes & IWG – Win $500 for you and $5,000 for your grill hero! Nominate the person who inspired you to start grilling – they can win $5,000 and you can win $500! ENTRY LIMIT – One entry for essay part of the sweeps. IWG entry limit: Limit of one game play per person/email address per day. ELIGIBILITY – The Smithfield “Hero of the Grill” Promotion, which consists of a written contest (“Contest”) and an Instant Win Game (“Game”) (collectively, the “Promotion”) is open only to individual, legal residents of the 50 United States and the District of Columbia (“D.C.”) and Puerto Rico, who are 21 years of age or older as of the date of entry. SWEEPSTAKES ENTRY PERIOD – The Promotion begins at 12:00:00 PM Eastern Time (“ET”) on 4/24/18 and ends on 9/3/18 at 11:59:59 AM ET. 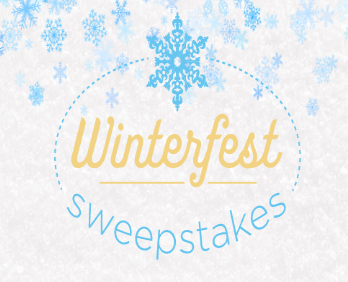 PRIZES – PRIZES FOR CONTEST: One (1) Grand Prize for the Nominee: $5,000 cash. One Prize for the Nominator: $500 cash. Cash prize will be awarded as separate checks made payable to the winning nominee and nominator. Four Hundred Twenty Five (425) Instant Win Prizes: (60) Weber Barbecue Mitt, Approximate Retail Value (“ARV”): $7.99; (60) Weber silicone basting brush, ARV: $8.99; (60) Weber instant-read thermometer, ARV: $9.99; (40) Weber premium tongs, ARV: $12.99; (40) Weber rib and roast holder, ARV: $17.99; (40) Weber 2-piece premium tool set, ARV: $23.99; (100) Weber’s Greatest Hits Cookbook, ARV: $24.99; (25) Weber iGrill Mini Thermometer, ARV: $49.99. 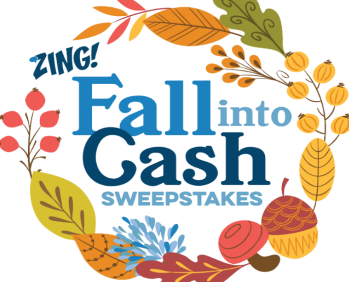 Quicken Fall into Cash Sweepstakes – Win $5,000! ELIGIBILITY – The Fall into Cash Sweepstakes is open to: legal residents of the fifty (50) United States and the District of Columbia, who are at least eighteen (18) years of age or older, all at the time of entry. SWEEPSTAKES ENTRY PERIOD – The Sweepstakes begins on August 23, 2017 at 10:00:00 a.m. Eastern Time (“ET”) and ends October 23, 2017 at 5:00:00 p.m. ET. PRIZES – Grand Prize (1): One (1) Grand Prize Winner will receive one (1) $5,000.00 check made payable to the winner. Approximate Retail Value (“ARV”): $5,000.00.